Robbie Rowlands is an visual artist based in Melbourne Australia. His work explores notions of stability and vulnerability through the manipulation of objects and environments. His repetitious and precise cuts ]and the resulting distortions reflect the inescapable passing of time that affects everything around us. Rowlands' works have been described as spotlighting the history, humanity and function of his subjects. His manipulated objects and spaces blur the boundaries between our fabricated world and the natural world. 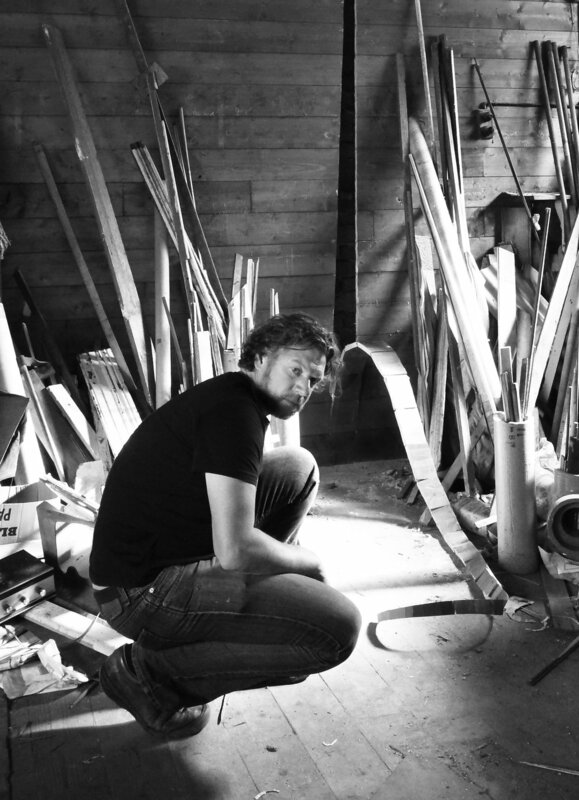 He is best known for his sculptural interventions into pre-demolition buildings through to utilitarian objects such as urban street poles. Whilst studying at PRATT Institute in 1998 under the guidance of Professor Marsha Pels he explored abandoned areas of Brooklyn creating object and site interventions. These initial explorations have grown a body of work that has explored sites such as a 1950's bus depot, a 1900’s wooden Baptist church in Dandenong, Australia through to abandoned buildings in Detroit, USA. Most recent examples of Rowlands work includes Crossing the Floor, Broadmeadows Town Hall public art commission, (2017) Shadows Fall, Belfield House intervention, (2016) If this light can hold, Boulder Museum of Contemporary Art, Colorado USA (2015), Tread lightly for this ground may be hollow, Detroit, USA (2014); In-between, Wright farm Yuengroon, Victoria (2014); Merchant Cities, Substation Gallery, Newport (2014); Stem, Hazelhurst Gallery, NSW (2014). His works are widely documented in magazines, art journals, international design websites and in major sculptural publications including Highlife and Spacecraft 2 and Erratic by German based Gestalten Publications.